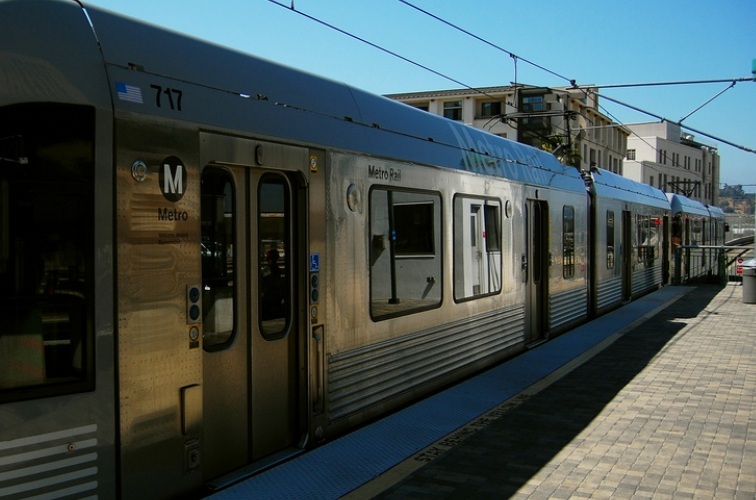 Metro approves $80 million for an underground station on the planned Crenshaw Line. Supporters hope it will help revitalize the African American business corridor. 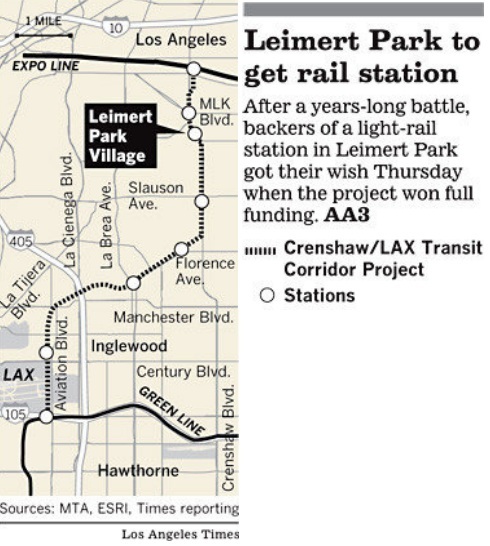 After years spent fighting for a light-rail station in Leimert Park, South Los Angeles community members got their wish Thursday with the approval of full funding for a stop in the heart of L.A.’s African American community. To cheering and applause from dozens of supporters, the Metropolitan Transportation Authority approved $80 million for an underground station in Leimert Park Village along the planned north-south route of the Crenshaw Line. A Leimert Park station is the Crenshaw Line’s answer to Gold Line stations in Chinatown, Little Tokyo and Mariachi Plaza, said L.A. County Supervisor Mark Ridley-Thomas, who sponsored the motion. He said the light-rail station, at the intersection of Vernon Avenue and Crenshaw Boulevard, would encourage foot traffic and tourism in the area, which took a hit during the recession. The 8.5-mile Crenshaw Line would run south from the Expo Line at Exposition Boulevard along Crenshaw Boulevard through Inglewood, terminating at the Green Line near Los Angeles International Airport. The project is scheduled to open in 2018. Metro will vote on a Crenshaw Line contractor at the June 2013 meeting, Villaraigosa’s last before leaving office. Mayor-elect Eric Garcetti will become a Metro director July 1, 2013. South Los Angeles residents also asked Metro to reconsider burying one mile of the rail line in the Park Mesa Heights neighborhood. The station’s proximity to Crenshaw High School would put children in danger, they said. The City Council also approved $15 million for a station in Westchester, near LAX, which Metro included in its amended budget Thursday.